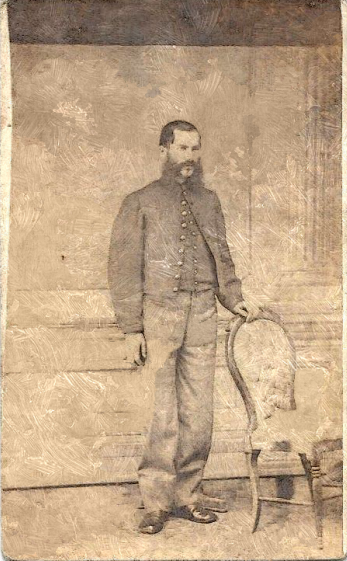 This letter was written by 29 year-old Judson L. Rawson of Winhall (1835-1916), Bennington County, Vermont who enlisted in Company H, 9th Vermont Infantry — sometimes called the Green Mountain Boys — in September 1864. He received a bounty payment of $100 for his enlistment. Enlistment papers indicate that Judson was a gunsmith at the time he enlisted and that he stood 5′ 6 ” and had black hair and blue eyes. Judson was the son of Lyman Rawson (1806-18xx) and Charlotte Sabin (1811-18xx) of Jamaica, Windham County, Vermont. Pvt. Rawson wrote the letter from Chaffin’s Farm, Virginia, while the 9th Vermont awaited with other regiments for the attack on Fort Harrison which would occur on 29 September. They would also carry Battery Morris immediately afterwards. On Oct. 27, the 9th Vermont participated in the conflict at Fair Oaks, after which it was ordered to New York to guard against possible rioting during the presidential election. Rawson may not have gone to New York City with his regiment however. Company records indicate that he was admitted to a hospital in Virginia on 20 October and was sick most of November & December 1864. With the 3d division, 24th corps, it was again stationed before Petersburg and took part in the final assault on the city April 2, 1865. Pvt. Rawson mustered out of the service with his company in June 1865. Gladly I seat myself in my rifle pit this morning to let you know that we are all well. Tis a beautiful morning as the sun is just rising in splendor over the whole earth but what strikes dread to one’s heart is to see in all directions thousands of human beings armed and in fighting order knowing that some of them must sleep beneath the sod in a few days. But we have all got to run the risk of our own heads. I have seen a great many poor boys carried off of the field dead and wounded — some killed by shells and some by minnie balls rain with their heads shot off and some with legs. This rather a careless play. They don’t stand about shooting right at a fellow — rather careless sort of folks — but we will have them by the nuts soon. Now Eb, I want you to write me and have all the folks let me know all the news. Write about everything of any importance — who is dead, who is sick, who is mad, who is pleased, who is distressed, and who is cussed, and so on. We are expecting a hell of a fight here today but the rebs had not better get in range of my old musket cause it may go off accidentally and might hurt somebody. Tell folks to keep cool and let the hen hatch and all will be right. I must close. Write soon as you get this and direct to J. L. Rawson, Co. H, 9th Vermont Volunteers, 18th Army Corps, Washington D. C.
This entry was posted on Thursday, September 25th, 2014 at 1:55 am	and posted in Uncategorized. You can follow any responses to this entry through the RSS 2.0 feed.